I just can't really remember well whether or not it's the third I have award from friends. I just can say that previously, I get award a year ago. Then the second award has already written here. 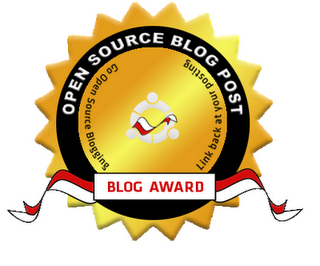 An award called: Inspirational Blog Award. Then just this afternoon, my friend in blogsphere told me that I have an award for re-posting an info about Earthquake in Padang. It is such an amazing thing for me to have this award!! But anyway, although actually I am supposed to distribute this award to some other bloggers, I don't think I will do it. Will it be ok, zoran? memang blognya mbak inspirasi banget..
@ mbak yayu, monggo mbak.. nulis yang banyak ya hohoh..